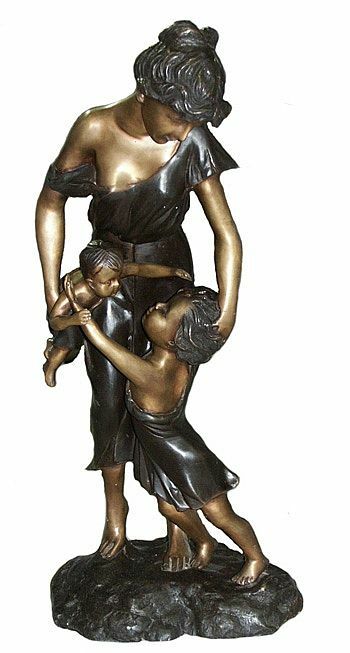 Created from bronze, our mother shows her adhering care towards the affection demonstrated by her elder child towards the younger baby. This sculpture highlights the role a mother plays in encouraging sibling closeness and love. The sculpture is thought provoking and emotionally engaging, a beautiful statement to make for a mother. Hand finished and hand crafted. Normally ships in 2-3 weeks if in stock.